Get ready for a big event that you have coming up! This comfy top is great for sports outings, family trips, recreational leagues, and so much more. 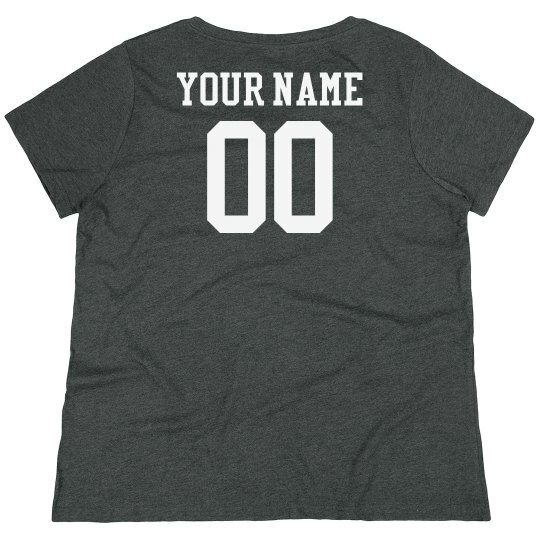 Personalize this curvy style tee by adding a custom name and number to the back to give it that classic jersey-style look.